The S252SMTB3 2-bay Thunderbolt enclosure enables you to connect two 2.5" SATA I/II/III hard drives (HDD) or solid state drives (SSD) to your Mac® or PC using an available Thunderbolt port. Transfer data to and from your external drives faster than ever before, through a Thunderbolt connection. With data transfer speeds up to 10 Gbps, Thunderbolt performs 100% faster than USB 3.0 (5 Gbps), and 60% faster than eSATA (6Gbps). 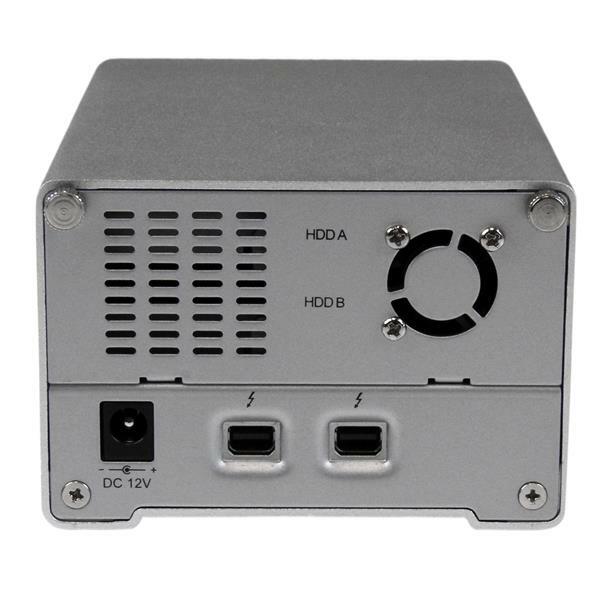 The unprecedented performance Thunderbolt offers makes this enclosure an ideal solution for high-resolution video editing and photography applications. To save you time and money, the S252SMTB3 includes a high-quality 1m Thunderbolt cable, ensuring you have everything you need for a hassle-free installation. 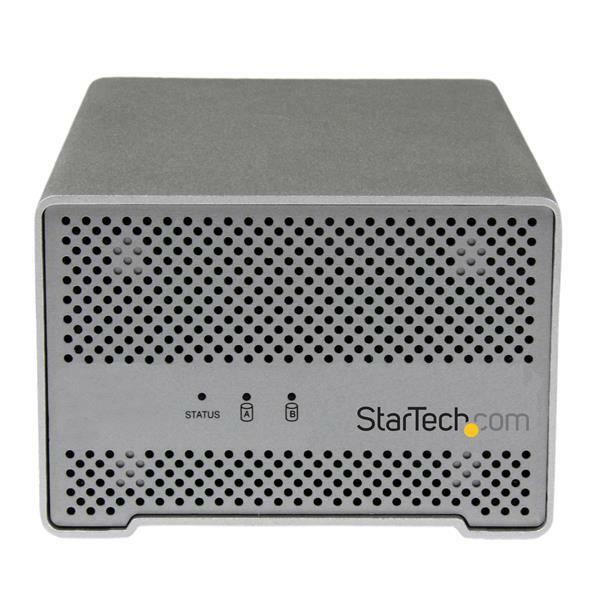 To help ensure optimal operating temperatures for your hard drives and solid state drives, the Thunderbolt enclosure features a built-in fan and a durable, solid aluminum housing that maximizes heat dissipation. 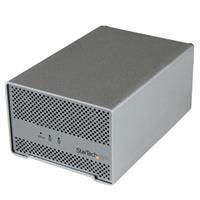 Get the most out of your Thunderbolt devices by leveraging the Thunderbolt daisy chain port. You can connect up to 6 additional devices such as monitors, docking stations, or additional external drives. This is an excellent docking storage solution for Ultrabooks or smaller more portable laptops that have fewer I/O ports. 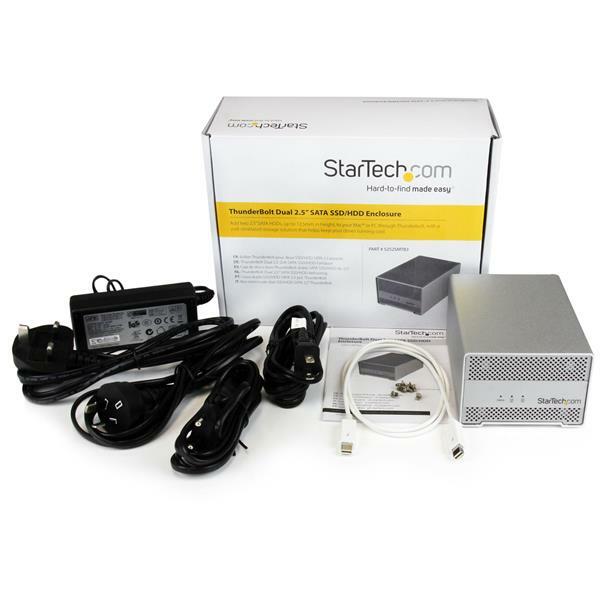 The S25SMTB3 is backed by a StarTech.com 2-year warranty and free lifetime technical support. (5 stars) Digital life in a box! I use this with Macintoshes - I have one large SSD containing OS and applications and home folders, and one large 72k spinner containing other data (photos, etc). I move this box, rather than a laptop, around from place to place, and though this occasionally results in licensing and activation issues, I feel happier with this as a solution than with a laptop.